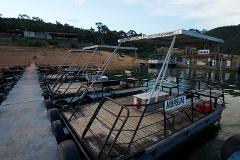 Enjoy your day at Lake Eildon while cruising along the water on a picnic boat. No boat license required. 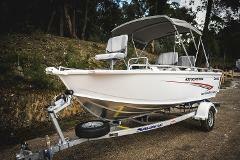 Explore Lake Eildon by fishing in one of our Savage Scorpion 435 boats. Or just go for a relaxing cruise!